Continued development of superior soft-magnetic alloys has resulted in improved efficiencies in key technologies, viz., electric motors, generators, transformers, etc. 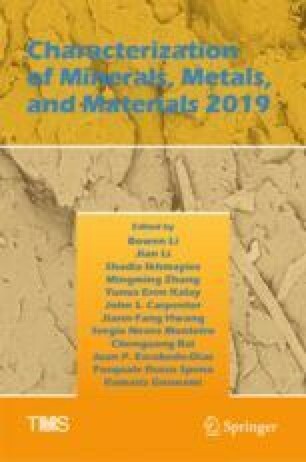 In this work, we present the magnetic properties of a low-cobalt content, soft-magnetic alloy—CarTech® Hypocore™ Alloy—at cryogenic temperatures, that has a unique combination of low coercivity and a high electrical resistivity at ambient temperature. Specimens were cut from the cold-rolled strips (thickness ~130 μm). The X-ray diffraction spectrum revealed the presence of α-phase (bcc solid solution of iron), at 300 K. Magnetic characterization from 60 to 300 K was performed on annealed specimens. The saturation magnetization decreased from ~221 Am2/kg (at 60 K) to ~216 Am2/kg (at 300 K), while the intrinsic coercivity varied between ~220 and ~230 A/m in that temperature regime. The magnetic saturation at 0 K and the magnetic moment per atom for the alloy were estimated as ~221.2 Am2/kg and ~2.17 μB, respectively. The observed soft-magnetic behavior of the alloy at cryogenic temperatures was compared with the other soft-magnetic alloys. The authors would like to thank the College of Engineering and Computer Science at the University of Michigan in Dearborn for the financial (Grant# U049150) and the infrastructural support to conduct the experimental work and Carpenter Technology Corporation for providing the CarTech® Hypocore™ Alloy specimens for the study.